There are a few TV shows that feature Cajun and Zydeco artists and I wanted to share one called Swamp N Roll.. They tape at the Black Gold Casino in Rayne, LA every week if you want to swing by and be a part of the show and it's shown on KDCG TV.. There are many different styles in Zydeco dance and one you will often see in Louisiana and Texas are slides. This is where the couple will move horizontally back and forth in sync with each other. While it appears easy, the lifts are different than the standard weight changes so it will feel a little odd at first. 3. The clip below is from a workshop in Lafayette Louisiana. It reviews basic weight changes of slides with lifts and also shows how to incorporate some moves into the slides once your comfortable with them. Once you get comfortable with the footwork you can work on the hand toss next as you typically don't keep the partners hand the whole time during the slides. 4. Starting at 1:53 on the video clip below along with dancer extraordinaire, Chearl McKee, we demo the basics at a faster speed at first and then break down the slides again... once you have this down you can start embellishing the pattern as the video clip at the bottom shows where they start sliding the lifts and crossing over. I can post a follow up video clip on this fancy footwork but it's essential you have the standard lifts down first as shown below. 5. The video clip below from a Trail Ride in Houston is a great example of how the dancers embellish the basics of the slides with lifting behind and crossing over. This additional clip below reviews slides with lifts from the Gator By The Bay festival in San Diego and also shows some quick reviews of some moves as well. 6. The last video clip listed below is review from a dance workshop at Tio Leo's in San Diego. It shows the slides first with out lifts, and then adds them as a variation. Either way you do the slides "works" visually and it's actually easier to not do lifts at first, but in Louisiana and Texas they do put in the lifts which also allows you to do a bunch of other moves that incorporate the lifts. Its good to also see how the hand toss works with the footwork of the slides with the clip below. As we all seem to connect to one or more genres of music there are many who are "Zydeco Addicted". 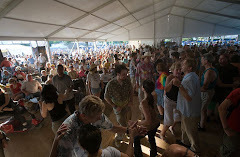 This video clip really expresses these magical qualities between the connection of the dance to each other as well as the music and ambiance of the Zydeco locations. This was shot at Cafe Des Amis outside of Lafayette Louisiana which hosts a Saturday morning dance every week with seasoned artists. The seasoned Pros in this video are Little Wayne & Same Old Two Step. The reason this video captures the energy so well... is because of the extra time, energy and effort it took to make it. They used 2 cameras at least..
A big thank you to Fredo Zydeco for posting the work to make and share it..
Outside of Louisiana and Texas you don't see young Zydeco players so here are a few recent video clips of up and coming Zydeco artists that you maybe hearing about in a few years. Chole of Moscow, TX is the daughter of Kid Reece and Mo Live. Zydeco is in great need of future female accordion players so it's great to see her pushing and pulling! Listed below the son of "Kid Reece and Mo Live"
It's amazing how cool and collected he is which comes from one place... lots of practice. 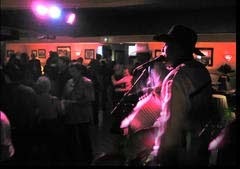 The video clip below is an up and coming accordion pro who goes by the name of Zydeco Kid. Click on the following link to see more of his amazing talents. Zydeco artists are not "Zydeco Artists", they are artists who happen to play Zydeco. Often they have a huge variety of music they perform and there was a recent example with Sean Ardoin with the YouTube clip recently released..
Zydeco artists Sean Ardoin & ZydeKool do their tribute to Pharrell's 'Happy' by adding some creole flavor. Shot on location in Sean's hometown of Lake Charles, La., "Zydeco Happy" shows the city in all its glory and diversity. Festival Season on the West Coast is in Full Swing!!! Why Do Accordion Players Sit or Stand While Playing? 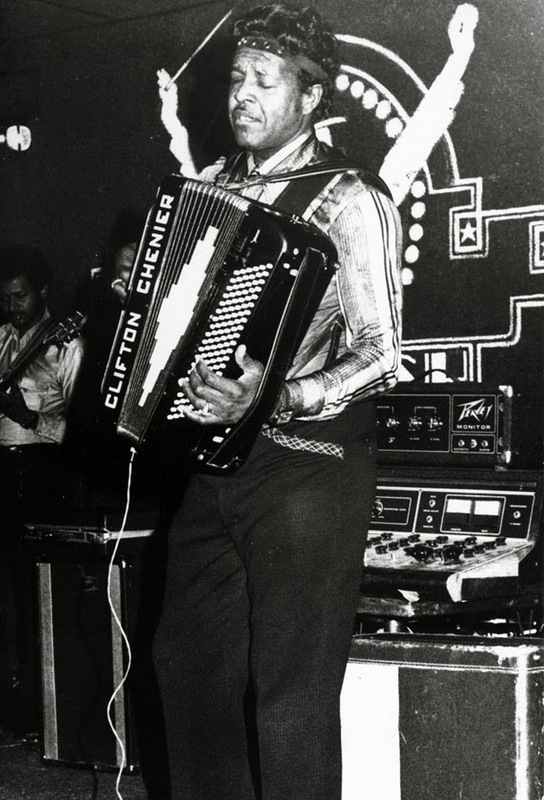 Considering the shear number of other artists who could have one it was a great tribute for the King of Zydeco, Clifton Chenier to win this years Lifetime Achievement Award at the Grammy's. Clifton Chenier was a Creole French-speaking native of Opelousas, Louisiana. He won a Grammy award in 1983, honored as a National Heritage Fellow in 1984 and entered into the Blues Hall of Fame in 2011. 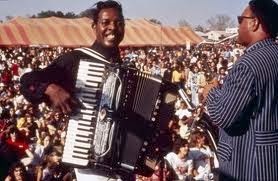 Each Zydeco band has it's own special energy and the Zydeco Kick's are truly unique in the Zydeco world. They are from Tokyo and considering you can't find lessons in Tokyo for playing Zydeco it takes a lot of persistence to learn how to play, form a band and play as well as the Zydeco Kick's do. fyi... the "MFIZB" award is "My Favorite International Zydeco Band" award ;)... it's early in the year... but so far these guys have won it!!! blog .. so it is time! Check out the following link/article below from Peak Health Advocate on how dancing can decrease your risk by 76 percent..
21 year study of participants 75 years and older. Dancing reduced the risk of dementia. Wonder if this includes pole dancing?